About Us » A-1 Door Specialties, inc.
Today, we serve diverse customers across Northern Indiana, Northwestern Ohio, and Southwestern lower Michigan from fully staffed offices in New Haven (Fort Wayne) and South Bend, Indiana. You can count on us for additional service representation in Lafayette, Indiana, and Findlay, Ohio, too. At each office location we have inspectors who are certified through the American Association of Automatic Door Manufacturers (AAADM). Their certification rests on having successfully completed a course of instruction on the inspection of automatic pedestrian door installations, in accordance with field tests based on the American National Standards Institute (ANSI) A156.10 safety standards. Contact A-1 Door, or call us, toll-free, 24/7, at 800.589.2136. 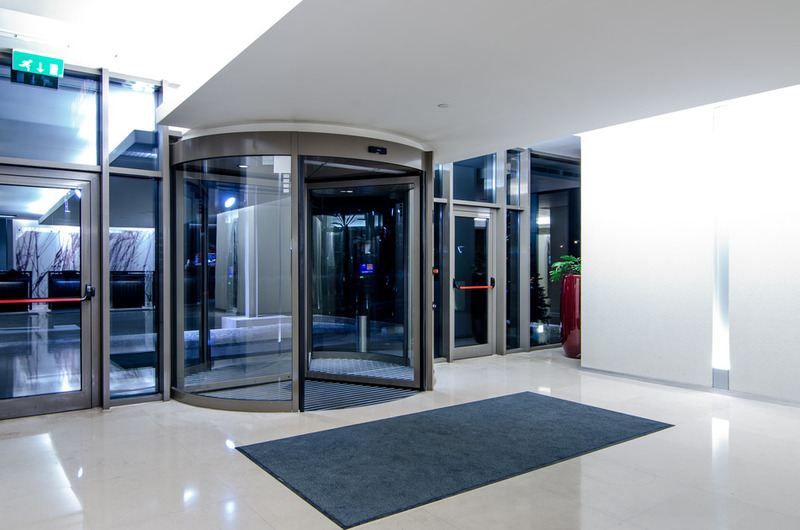 We take pride in being able to guarantee our customers quality automatic and manual doors as well as expert technical advice.